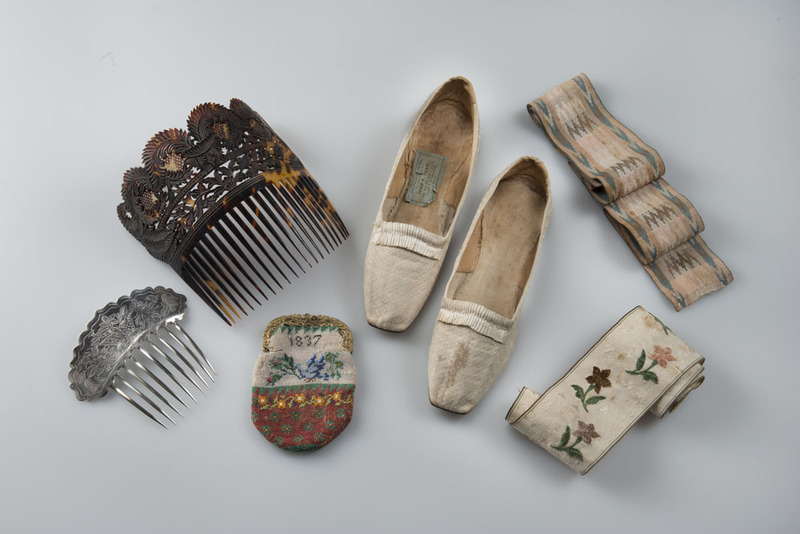 Accessories, 19th century, Old Sturbridge Village Museum Collection. Photo by Gavin Ashworth. Old Sturbridge Village will offer a series of programs including demonstrations, lectures, and tours highlighting fashion in rural nineteenth-century New England. Events include Wool Days (May 26-28), Textile Weekend (August 18 and 19), and Maker’s Weekend (September 15 and 16). Throughout the summer special topic lectures and tours will discuss men’s dress, military fashions, garments modified for reuse, accessories, and rural interpretations of high-style trends.